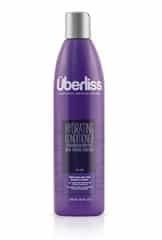 Head over here to grab 3 FREE samples of Uberliss hair care products! Just add these samples to your cart then proceed through the checkout process. This freebie includes a sample 30 mL Hydrating Shampoo sample, 30 mL Hydrating Conditioner sample, and a 10 mL RituOil sample. Please note: You will not have to enter any credit card information.